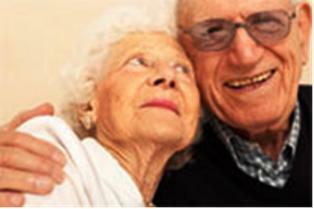 We take great satisfaction in being able to offer the highest quality of unobtrusive care to all our elderly residents, ensuring our residents individuality is respected and preserved; whilst enhancing their quality of life and assisting them in maintaining their independence in a dignified atmosphere of peace, comfort and tranquillity. We are of course aware that care needs change over time, and it is essential that the individual needs of each resident are reviewed on a regular basis. It is also extremely important to us to obtain feedback from the residents and their families or representatives about the care they are receiving, which forms part of the care planning process. Being independent means having the freedom of choice. Our residents choose how they spend their day and this extends to when to bathe, when and where meals are taken, and whether they wish to participate in the planned activities within the home. We also offer quality End of Life Care under the Gold Standard Framework, and effectively deals with challenging behaviour without the use of antipsychotic drugs for nursing dementia residents. 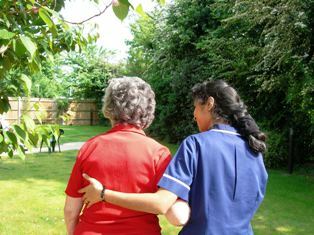 Visitors are welcome at any time, which adds to the homely and welcoming atmosphere of The Laurels Care Centre. As well as round the clock nursing and support, residents also have the services of an excellent local GP, who has been visiting The Laurels Care Centre for many years, providing specialised care services, designed to enhance the health of residents. However, should any local residents choose to retain the services of their own GP, we are happy for them to do so. Under the supervision of our nursing staff, residents also benefit from specialists offering their services such as physiotherapy, chiropody, audiology, speech therapy, dental and optical care. All faiths and religious preferences are duly respected.